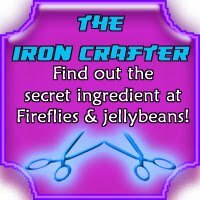 I am SO EXCITED for our 3rd round of The Iron Crafter! The secret ingredient is Knobs and Hinges and I cannot wait to see what you have come up with for this one! Jeannine and I will each pick 5 crafts as semi-finalists! Then we will put up the 10 semi-finalists links and have you all vote for the winners. The deadline for entries is Friday July 30th at Midnight! now I've GOT to come up with an idea - I LOVE those aprons!!! How is it with 360 posts, I haven't made ONE thing with hinges or knobs? Dang it! My 3rd craft post ever! 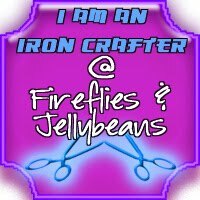 So excited to be part of the F&J Iron Crafter experience! Yay, I made it in before the deadline. Sometimes inspiration likes to cut it close! :) Thanks for letting me play along! Great projects, everyone! I soooo tried to enter this challenge. Even went to post before Midnight. I guess I just live on the wrong coast. Ugh. Love all the other entries. Thank you all for your wonderful Creative minds. Thanks for hosting, ladies! :) I've been loving visiting all of these fantastic projects.